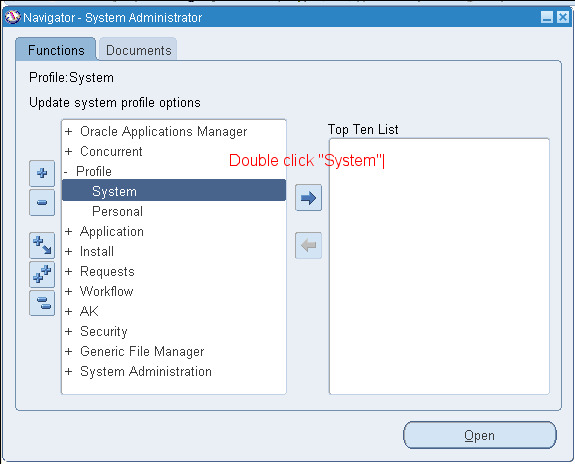 Profiles are the changeable options which affect the way Oracle Application runs. 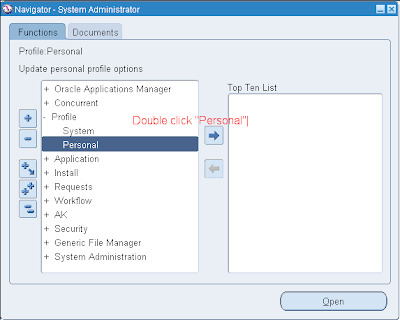 Moreover, Moreover, The profile option acts like a Global Variable in Oracle. 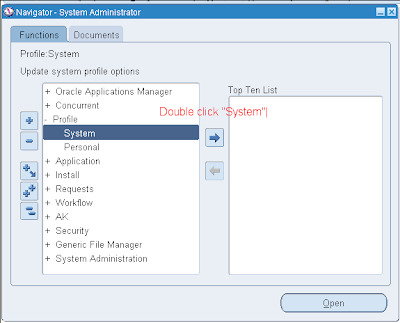 It is needed to provide the flexibility to Oracle Applications. The profiles are of two types those are given below. 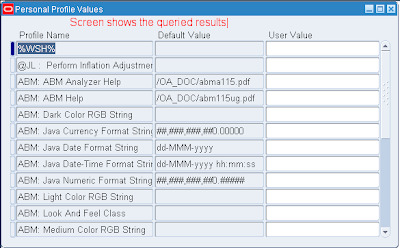 The Profile values will be set in different levels those are given below. Site: This field displays the current value, if set, for all users at the installation site. 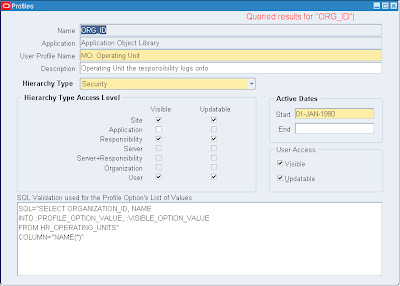 Application: This field displays the current value, if set, for all users working under responsibilities owned by the application identified in the Find Profile Values block. 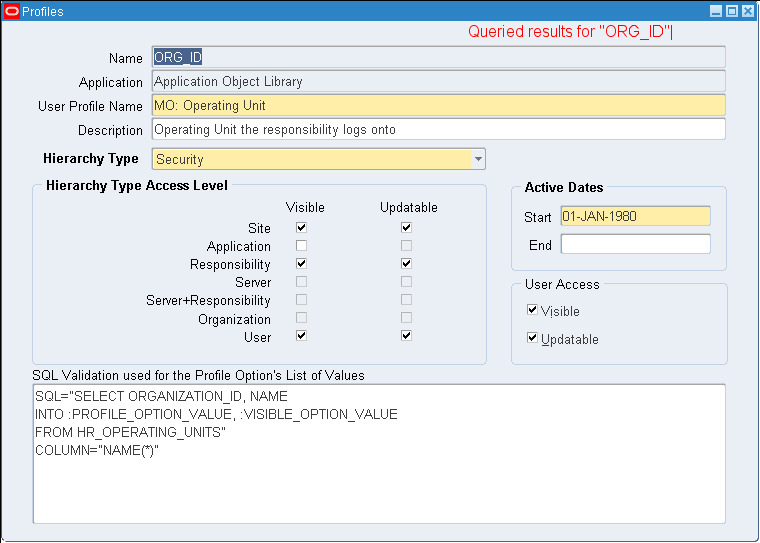 Responsibility: This field displays the current value, if set, for all users working under the responsibility identified in the Find Profile Values block. 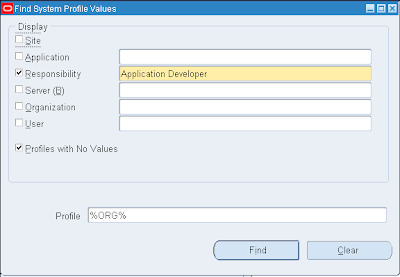 User: This field displays the current value, if set, for the application user identified in the Find Profile Values block. 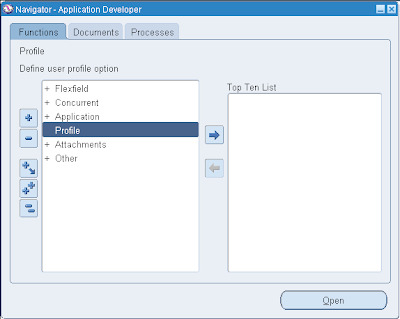 Profile: Enter the name of the profile option whose values you wish to display. 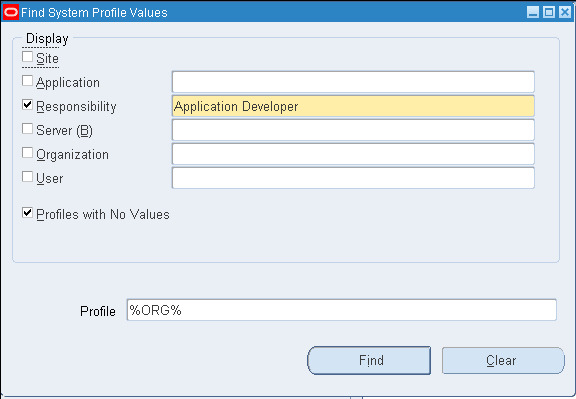 You may search for profile options using character strings and the wildcard symbol (%). 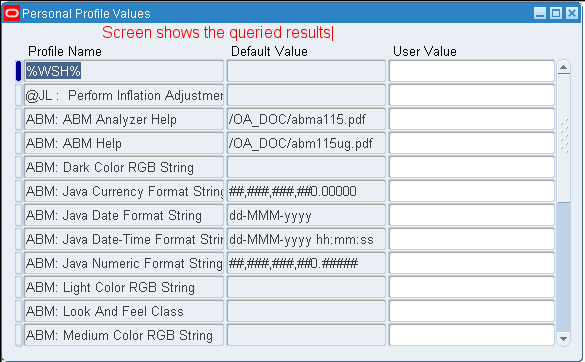 For example, to find all the profile options prefixed by "Concurrent:” you could enter "Conc%" and press the Find button. To view personal profiles enter into the query mode and enter the profile name which we have already then we get profile value details. The 1st and 2nd are same but, the only difference is FND_PROFILE.GET is the procedure and FND_PROFILE.VALUE is the function so, it return a value. 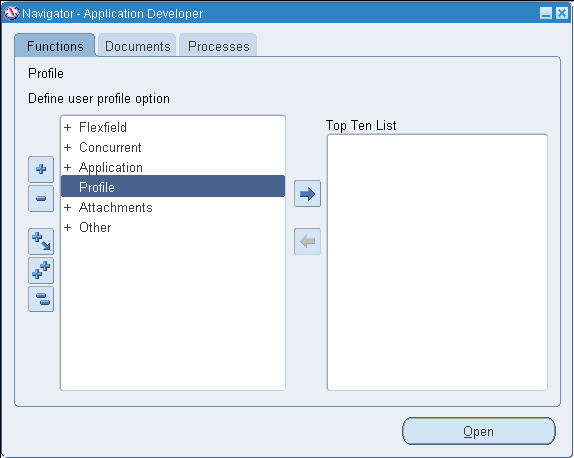 Apart from the above procedures we have another important one named FND_PROFILE .SAVE used to set the profile values from backend. A detail regarding this API is available in another article. Nice Consolidation of details.. It is very much useful for me. Thank you very much!! Thank you so much for such an useful information. 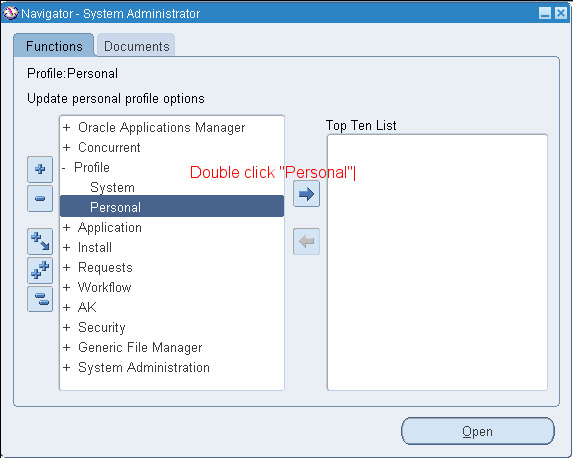 Can anyone please give me the difference between System profiles and user profiles and what is the signifiance of both. It could be better to understand if you given. Nice work , very helpful.